At least 52% of all web traffic is video. 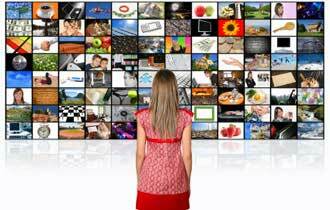 If video is not in your online marketing mix, it should be. Need help? Fluid Studio is here. Read below for some summarized from a great article from MarketingProfs. Keep videos brief or edit down as necessary. Make sure they entertain, inform, and/or educate. Videos that are 2-3 minutes in length receive the most views online. Remember to get to the point. It is most often better to have 5 two-minute videos than 1 ten-minute video. During the upload process, choose a high-resolution thumbnail image that is representative of your video. First impressions are important! Tell spiders and potential viewers the content of the video by describing it in the fields. Think of the terms users would likely use in a search query as well as include what makes your video unique. Also include the URL of the company’s website in the description. Placing the URL at the beginning ensures that people can see it in the YouTube search results. A video embed, similar to an inbound link, is good for SEO. It also draws traffic to your site. Include a description of the embedded video on your site or blog. Having that descriptive text near the video makes it easier to find in universal search results. You can also link back to your video in YouTube using keyword-rich anchor text. Note that the Statistics & Data link below your video in YouTube provides stats about which sites have embedded and linked to your video. Increasing a video’s views, ratings, and comments will boost its search engine rankings. As an added benefit, linking to your video on these social networking sites often prompts others to link to your video. Those inbound links increase the video’s authority, further improving its search engine rankings. You can also use the Statistics & Data link to view competitive videos’ incoming links. If the links are desirable, consider contacting the sites to inform them of your new video and request a link. Explain your competitive advantage over similar offerings. These link-building efforts can result in high-authority inbound links. Comment on related videos and include a link to your own video. The extra traffic those links generate can only help your search-engine rankings. Commenting on others’ videos will increase the chances they comment on yours. Use YouTube Insight to see how your traffic evolves as you promote your video. Insight also shows where your viewers are coming from and how they found your content. In addition, it shows how long your are keeping your audience and where dropoffs occur. As mentioned above, it’s a good idea to include your site’s URL in the video’s description. To channel YouTube users to your site or a particular product page, consider including a URL within the video (such as in the last slide) or in the YouTube profile as well. Have you realized success with videos on the web? Would you add any tips or tricks to the list above?